The Man Booker International Prize, celebrates newly translated fiction into English; this years judges have now whittled their long list down to six titles, giving us this interesting and diverse shortlist below. Though you’ll find a lot of translated fiction on the pages of this blog, it’s a niche that’s dominated by small publishers, so less known and indulged by the wider reading public. Things are changing however and readers are becoming more discerning and aware of being made to seem ignorant by publishers who’ve stuck predominantly to nationalistic loyalties. I say this personally, as I discovered when I moved to France that without even making an effort you are just as likely here to read Russian, Colombian or Japanese authors as you are French authors. 45% of their fiction is translated! 5% of ours is. Do we really only want to be offered stories written by authors from one country, to read thoughts generated in the imagination of only one original language? Though we are in a climate of Brexit and an era of vociferous intolerance towards multiculturalism; storytelling and literature in translation offer a quiet route to developing empathy and understanding of ‘the other’ and a reminder that we can both learn something new and find the familiar in words from elsewhere. The prize equally awards the translator, which should boost the industry and help translators take on more projects bringing us more excellent literature from elsewhere. The shortlist includes five languages, Arabic, French, German, Polish and Spanish from six different cultures. The six titles are listed below, summaries edited from the prize’s website: click on title to purchase a copy. Set in the village of al-Awafi in Oman, we encounter three sisters: Mayya, who marries Abdallah after a heartbreak; Asma, who marries from a sense of duty; and Khawla who rejects all offers while waiting for her beloved, who emigrated to Canada. The three women and their families witness Oman evolve from a traditional, slave-owning society, slowly redefining itself after the colonial era, to the crossroads of its complex present. Elegantly structured and taut, it tells of Oman’s coming-of-age through the prism of one family’s losses and loves. 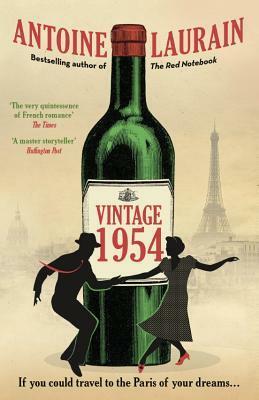 Considered by many to be the iconic French memoirist’s defining work, a narrative of the period 1941 to 2006 told through the lens of memory, impressions past and present, photos, books, songs, radio, television, advertising, and news headlines. Local dialect, words of the times, slogans, brands and names for ever-proliferating objects are given voice. The author’s voice continually dissolves and re-emerges as Ernaux makes the passage of time palpable. Time itself, inexorable, narrates its own course, consigning all other narrators to anonymity. A new kind of autobiography emerges, at once subjective and impersonal, private and collective, a remembrance of things past. When Gilbert, a journeyman lecturer on beard fashions awakes from a dream that his wife has cheated on him, he flees to Japan. In discovering the travel writings of the great Japanese poet Basho, he finds a purpose: a pilgrimage in the footsteps of the poet to see the moon rise over the pine islands of Matsushima. Falling in step with another pilgrim – a Japanese student with a copy of The Complete Manual of Suicide – Gilbert travels across Basho’s disappearing Japan with Yosa, one in search of his perfect ending and the other a new beginning that might give his life meaning. A serene, playful, moving story of the transformations we seek and those we find along the way. In a remote village in south-west Poland Janina Dusezjko, an eccentric woman in her 60s, describes the events surrounding the disappearance of her two dogs. When members of a local hunting club are found murdered, she becomes involved in the investigation. No conventional crime story, this novel offers thought-provoking ideas on perceptions of madness, social injustice against people who are marginalised, animal rights, the hypocrisy of traditional religion, and belief in predestiny. Pacing the dark corridors of a hospital during the birth of his twin daughters, Juan Gabriel Vásquez befriends a physician. Through him he meets Carlos Carballo, a man consumed by a conspiracy theory about the assassination of a politician Jorge Eliécer Gaitán in 1948. He tries to persuade Vásquez to write a novel about the murder, but despite repeated refusals Vásquez is drawn into the conspiracy when Gaitán’s vertebrae, stored in a glass jar at a mutual friend’s house, goes missing. Sparking a turn of events, Varquez opens up a second, darker conspiracy about the assassination of another politician, Rafael Uribe Uribe, in 1914. Santiago, Chile. The city is covered in ash. Three children of ex-militants are facing a past they can neither remember nor forget. Felipe sees dead bodies on park benches, counting them in an obsessive quest to tally figures with the official death toll. He is searching for the perfect zero, a life with no remainder. Iquela and Paloma are also searching for a way to live on. When the body of Paloma’s mother gets lost in transit, the three take a hearse and a handful of pills up the cordillera for a road trip with a difference. Intense, intelligent, and extraordinarily sensitive to the shape and weight of words, this remarkable debut presents a new way to count the cost of generational trauma. I haven’t read any of the titles shortlisted, I’ve been watching since the long list came out, the one that most intrigues me is Celestial Bodies, because it promises to highlight aspects of Oman’s history as shown through the story of three sister’s lives. While The Shape of the Ruins sounds intriguing, I’m a little wary of it seeming a little like Roberto Bolano’s 2666 another lengthy South American novel that centred around unsolved murders, that was too much for me. I’m also intrigued by Olga Tokarczuk’s latest, she won the prize last year, though this is said to be a different and lighter read to Flights that can be read on multiple levels, with its elements of mystery, nature writing and reflective, philosophical inclinations. So have you read any of the novels on the shortlist? Do you already have a favourite? The winner will be announced on May 21. This entry was posted in Fiction, Translation and tagged fiction, literary fiction, literature, Man Booker International 2019, translated fiction, Translation. Bookmark the permalink. Read the Tokarczuk and really liked it, as I’ve liked her others, and I think I wrote a piece about it; Flights is sitting on the to-read pile and is up next. Thank you for the reminder, I just had another read of your review and I think I’ll have to read this one, it seems to be the most widely read book on the list, judging by the comments here. I’ve read the Tokarczuk, which I gather is somewhat uncharacteristic of her work, and found its eccentric narrator oddly engaging. Poschman’s The Pine Islands manages to be both playful and serious. I’ll have to read the Tokaczuk now, the descriptions of the narrator make me remember the woman narrator in Marlen Haushofer’s excellent novel The Wall, a novel I admired very much. It’s interesting too that she’s written such different novels, keeping her readers engaged. I’ve only read the Tokarczuk – very different from Flights but I love them both and although it probably won’t happen, I’d love to see her win again. Her writing is a real standout for me. Are you planning on reading any of the others or from the long list? Like you, I’ve read none of these, though all sound intriguing. And how could one not be drawn in by this introduction: ‘When Gilbert, a journeyman lecturer on beard fashions awakes from a dream…..’? Ah yes, that introduction, and you may be even more intrigued, when I tell you I edited out these three words from the bit after that that said “he flees – immediately, irrationally, inexplicably – to Japan”. They do promise to entertain, and as Susan says above it manages to be both ‘playful and serious’. Not sure why you did that editing. The plot thickens! Just because the post seemed overly long and so I tied to capture the essence of the plot so people might read the descriptions, when there’s too much text, it’s easy to gloss over it! But in your case, I went back to see what I left out in case it might entice you even more! Well said, Claire! Travel initially opened my eyes to the joys of translated fiction. It’s important to me to read from the heritage of the countries I visit. That said it’s been easy enough to get hold of books written by outsiders but much more challenging to find translated works which originate from the culture. It does seem to be improving. Or maybe I’m getting better at ferreting them out. Re the Man Booker I’ve only read At Dusk from the long list which I found engaging and informative. I too am very much looking forward to Celestial Bodies. Following the Christchurch terror attack I’ve promised myself to read more translated fiction from Muslim writers. I imagine it’s a bit of both, it’s becoming easier (as more of us read this work, we contribute to the demand for more and social media gives it a voice) and definitely having an awareness of the difference and seeking those voices from within a culture out makes a huge difference. Twenty years ago when I travelled in Vietnam it was very easy to (hard not to) find copies of Graham Greene’s The Quiet American but it took some perseverance to find copies of Bao Ninh’s The Sorrow of War and Dương Thu Hương’s Paradise of the Blind, the latter were the books I wanted to read while I was in the country, a view of the past and of community by local writers, those books enriched my travels and made me want to continue to seek out voices like theirs, just as you are doing Jill. I wanted to avoid reading what is often too easily available, voices from English speaking countries giving their perspectives on cultures they’ve gone to war in or colonised or even travelled through writing books, seeing from the outside, it’s the view from the inside that I search for. I look forward to your reading of Muslim writers, I have a few more women writing in Arabic on my TBR, I don’t look into whether they’re Muslim or not, but one I’m really looking forward to reading soon which you might also enjoy, is Radwa Ashour’s Granada. I have Drive your Plow. .. tbr and I also have Flights which won last year. I will get to them soon. The others sound interesting too. A fascinating list. Interesting that the translators are all female – is that unusual? I’m not an expert, but I do recall reading that ironically while there are more male authors translated into English, there are more female translators actually translating. In this case, the fact that five of the six shortlisted novels are written by women most likely accounts for it though. I have read any of them, but the one that intrigues me the most is the Tokarczuk. Flights didn’t appeal to me for some reason, but this sounds more my cup of tea. Like Georgie, I find it interesting that all the translators are female. It does seem to be a field where women are really making a mark. I didn’t pick up Flights when it won, but for some reason this one appeals to me more, so I may get a copy and try her out now. Thank you Claire for inspiring me to finally get out of my Anglophone reading bubble. After living in France for nearly 20 years, the only thing I would read in French, were magazine articles in waiting rooms! When our leisure time is limited by the demands of “life”, it is so much easier to curl up with a book in your mother tongue. And why not a contemporary French author translated in English! Or even a French novel in French Audrey! One thing I do appreciate about French literature is that they love the novella, so many of their gems aren’t 400 page tomes, they’re often around 100 pages and can be read in one sitting. With the quality of translations being as high as it is presently, I like to indulge translations as my way of supporting contemporary literature and encouraging those who can’t read in French to have a taste of what they’re missing out on, and now that we even have a press specialising in contemporary French Literature (Gallic Books) we have an even better chance of finding something that appeals to our own personal sensibilities. And then there are the books in Italian, Arabic, Polish, Uzbek, Russian, Spanish, oh so many languages, so many potential books to read! Speaking of translated contemporary writers, I suddenly remember reading The Shadow of the Wind by Carlos Luis Zafon translated from Spanish to English! That was an amazing literary trip to Barcelona! And you read it in English yes? I haven’t read any of the shortlist yet, but I’m very intrigued by Drive Your Plow and The Years! And I’m surprised The Faculty of Dreams didn’t make the cut, but I’m hoping to get around to that one soon as well. I don’t read much in translation and I feel I should, for all the reasons you mention. But the only book that appealed to me on this list is Pine Island (I’m a big fan of Basho). I’d like to read Flights from last year too. Yes, it being such a narrow selection, it takes time to find the works that fit with our own personal reading inclinations, but they are out there, not necessarily on prize lists, but with a little digging we find our gems.